Pricking, scoring, iron-gall ink, pencil on laid paper engraved with coordinate lines, 8 3/4 x 8 3/4. N 328. Jefferson Papers. Pricking, iron-gall ink on laid paper engraved with coordinate lines, 8 3/4 x 8 3/4. N-329. Jefferson Papers. Pricking, scoring, iron-gall ink, pencil on laid paper engraved with coordinate lines, 12 1/4 x 8 5/8. N-331. 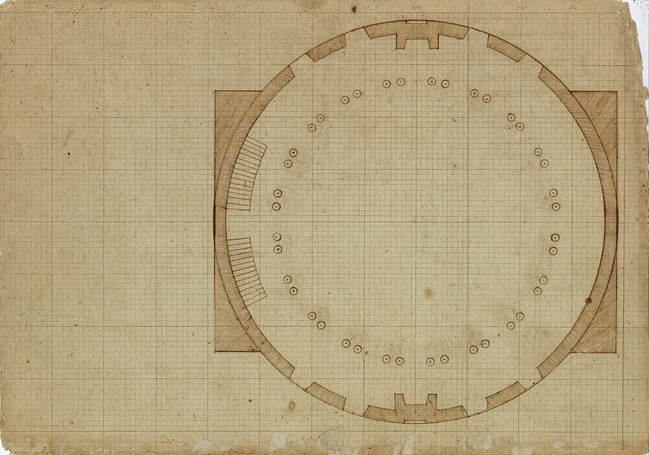 Jefferson Papers. 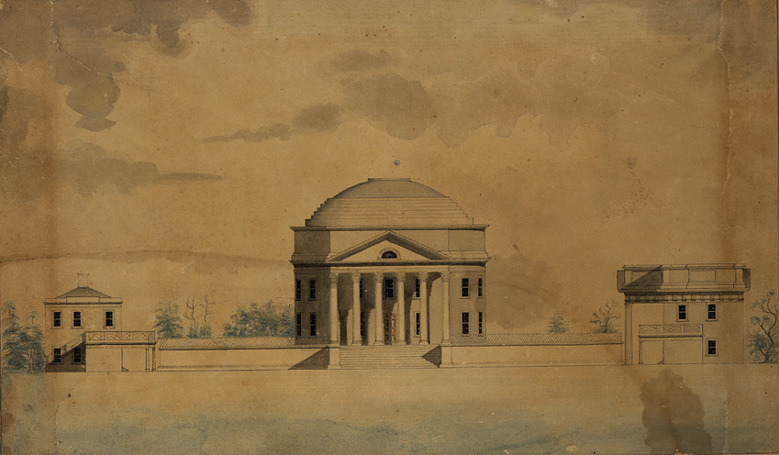 Attributed to John Neilson (formerly attributed to Cornelia Jefferson Randolph). 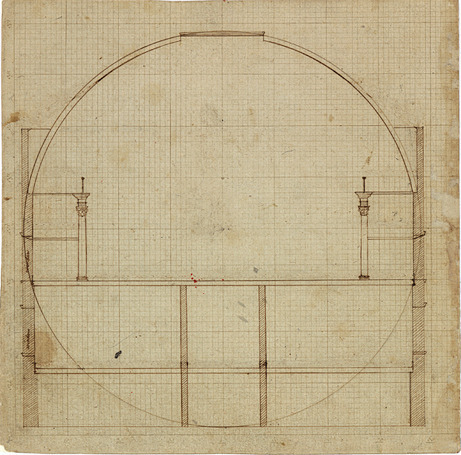 Study for Elevation of Rotunda and Pavilions IX and X, 1823. Pricking, pencil, India ink, iron-gall ink, and tinted washes on wove paper, 11 x 17 1/2. N354. 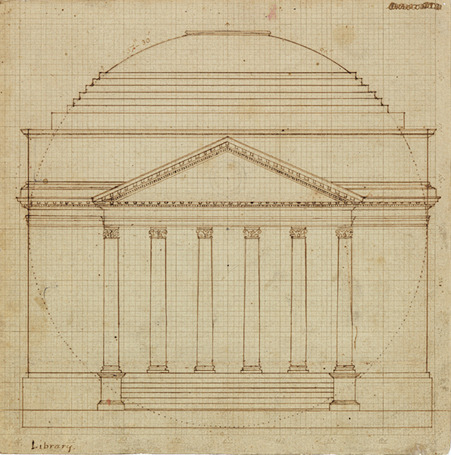 Jefferson Papers.